Students can get up to 70% off in the Monki Sale + you can use you 11% student discount on top to save even more dough. This jacket that we've all been admiring on the wonderful, Megan Ellaby pretty much all winter is FINALLY in the Monki sale! YES. You can pick up this awesome hi-shine, faux leather jacket with shearling trim for a cheeky £50 instead of £95. Another absolutely fab jacket that will seriously upgrade your wardrobe. This soft faux leather biker jacket is the perfect statement piece for winter to spring. You can grab this baby for only £40 from £75 in the Monki sale. Just look at the colour of this jacket and try tell me you don't need it. 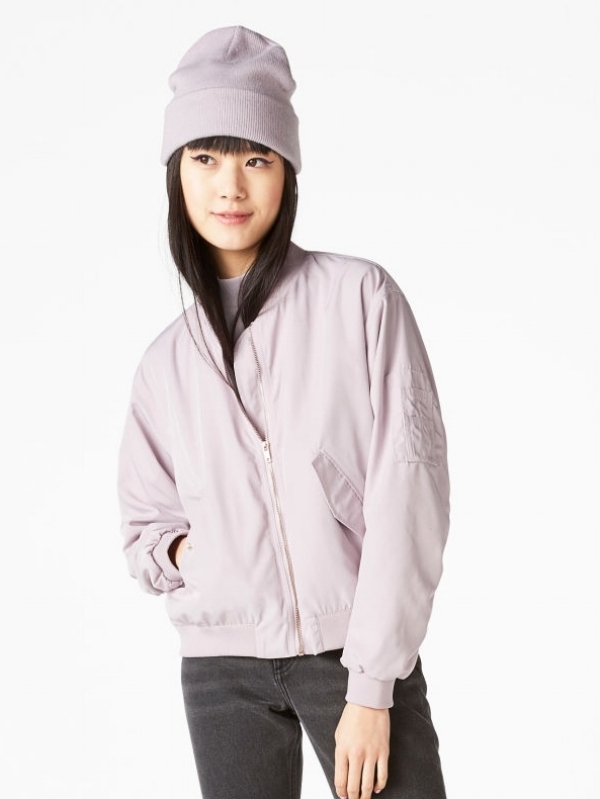 This dusty lilac bomber has has slanted, snap-close envelope pockets and a slightly ruched vertical seam up the back. Also note there’s a nifty multi-pocket on the arm. Get up to 70% off in the Monki Sale + use your 11% student discount on top.